With 22 years of real estate experience, few people know the Bloomington market like Tracee Lutes. Whether you're a lifelong resident or are considering a move to our vibrant city, do what more people in Bloomington do—Talk To Tracee. 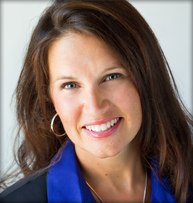 Tracee Lutes is an expert in residential, commercial and investment property real estate transactions, with a specialty in luxury homes. A key member of Tracee's team is Kim Price. As the wife of a military veteran and NSWC Crane employee, Kim understands the unique challenges associated with relocating. 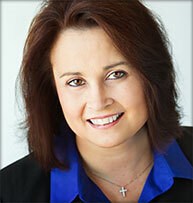 Kim works as a primary buyer's agent and transaction coordinator for Tracee's team. Tracee Lutes and her team of real estate professionals know the Bloomington market—but more than that, they know how to bring you home. 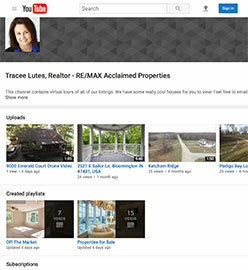 As part of RE/MAX Acclaimed Properties, Tracee Lutes and her team bring local and personalized service that's powered by a national brand you trust. 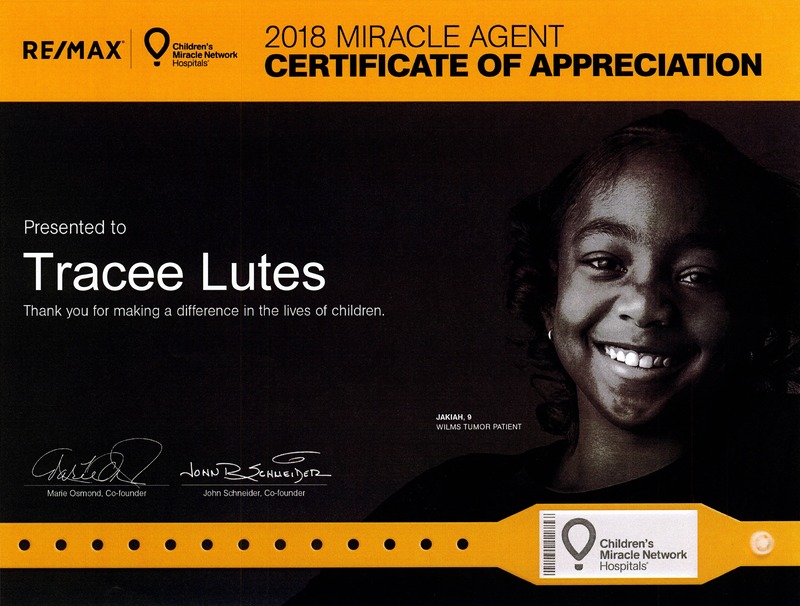 With every closing, a donation is made to the Children's Miracle Network.